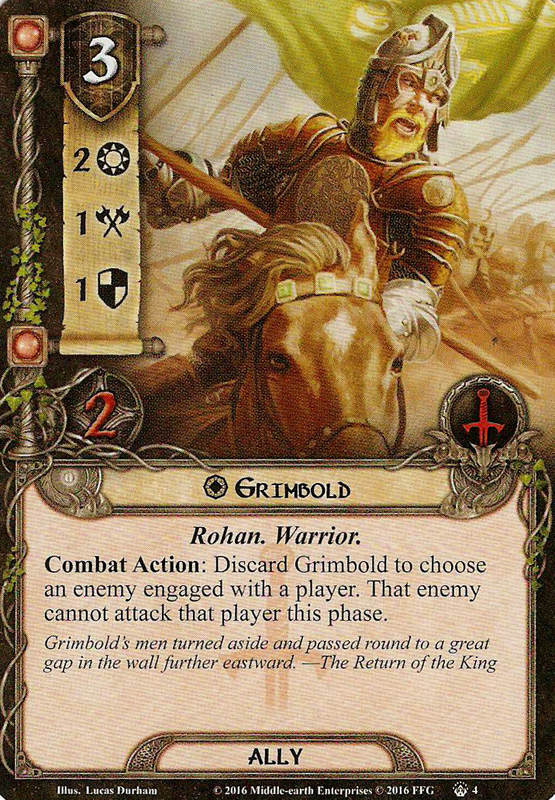 Combat Action: Discard Grimbold to choose an enemy engaged with a player. That enemy cannot attack that player this phase. Grimbold's men turned aside and passed round to a great gap in the wall further eastward.